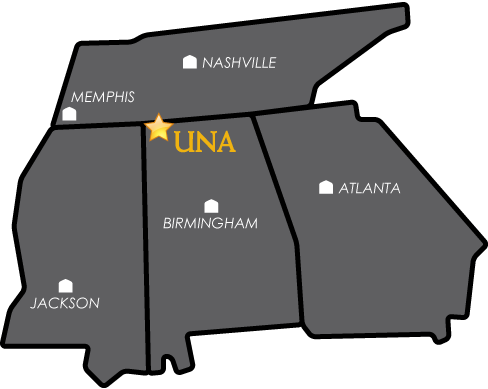 Welcome to the UNA Planetarium Page! April 8th, 7:30 p.m., Special Spanish language narration program. Our weekly evening programs consist of a 30 minute discussion of the constellations visible in the sky during the current month. This is followed by a video or slide presentation or observing through a telescope if the weather permits. UNA students are not charged for the weekly public programs, all others are charged a flat rate $3/person. There are no discounts or "rain-checks" for poor weather. The programs are intended for a general audience and so all age groups are welcome.